Nothing matches the Power of Seven. In this anthology, seven writers tempt you with a modern take on the Seven Deadly Sins, unleashing eleven riveting new crime stories, edited by Ferdia Mac Anna. A woman seduces her boss and considers murdering his wife. A case of mistaken identity leads to disastrous consequences. An unexpected visitor arrives with a camera but takes more than photos. A bitter sixth-former at an English public school exacts the ultimate revenge. the3percenters is an authors’ collective and publishing partnership formed to promote emerging writers. The group was originally associated with the annual Dalkey Creates Writing Festival. Murdoch takes on two cases in as many days. First he is hired to find local man, Scott Patterson, the victim of a mysterious abduction. Then an impressive stranger arrives in town with a tempting offer. But has Patterson really been abducted? And is the stranger all he appears to be? As Murdoch gives in to temptation and risks everything by returning to his old criminal ways, the hunt for Scott Patterson takes an unexpected turn. Soon Murdoch and his partner, Davie Simms, are dragged into a depraved underworld of human trafficking, prostitution and torture, where they will find evil on their doorstep, and face a desperate fight for their lives. Former bad boy turned local hero, Bill Murdoch, should be happy with his little piece of paradise. After all, he’s got the fancy car and the big house by the beach. The only trouble is he’s slowly suffocating in small town life. So when Murdoch is hired to investigate who framed wealthy businessman, James Harte, for murder, he jumps at the chance. Going undercover amongst the jet set, Murdoch is quickly drawn into an exciting world of yachts, horse racing and glitzy parties. But soon Murdoch’s shady past looks set to catch up with him and when he falls for Harte’s beautiful wife, Amanda, things take a deadly turn. Meet Bill Murdoch, the world’s most reluctant private investigator. What happens when a drug dealer is forced to turn detective? Murdoch’s doing just ﬁne, thanks for not asking. He’s dealing drugs for a professional crime syndicate in Sydney and saving for a house by the sea. But what does he think life is – a fairy tale? 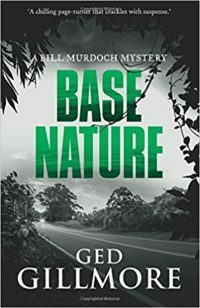 As the syndicate puts pressure on him, Murdoch is cornered by an equally formidable foe – the Australian Tax Ofﬁce who are demanding an explanation for his sizeable cash income. Murdoch spins a beautiful lie: he tells tax inspector, Hannah Simms, that he’s a private detective. 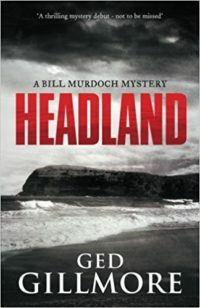 When she asks him to investigate the mystery of her niece’s disappearance, Murdoch grabs what he thinks is a golden opportunity to outrun the syndicate. But his arrival in the missing girl’s small coastal home town causes an unexpected stir and the reluctant PI soon realises his troubles are only just beginning.